Cruise on board our catamaran - Dolphin II. 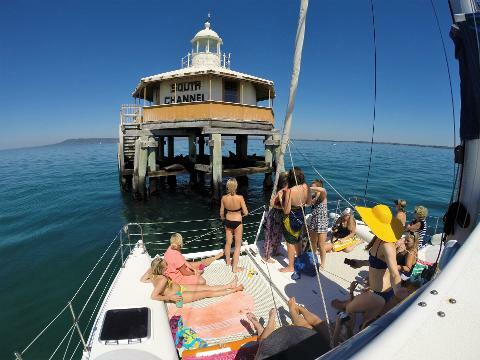 You will venture out on the beautiful Port Philip Bay enjoying the highlights - cliff top mansions, dolphins frolicking off the bow and we include a stop off at Chinamans' Hat to visit the Seals Colony *please note there may be other guests that are booked to snorkel with the seals at this stop. 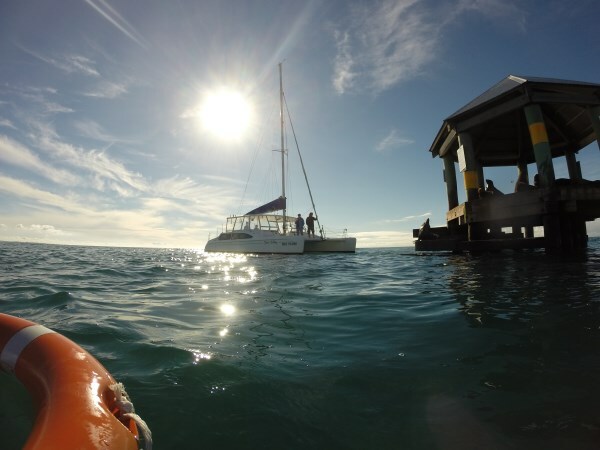 (If you would like to join in you can book this as an extra) Once the snorkelers are aboard you will sail towards the Pt Nepean National Park and along the Portsea & Sorrento Coast line make sure to keep an eye out for the dolphins, then arriving back at Blairgowrie Mariner. You are welcome to bring aboard your picnic to enjoy while at the seal Coloney, drinks are available on board. This will depend on the days weather but dress comfortabley & bring a warm jacket and flat soled shoes. The minimum age for participants of this snorkel tour is 6 years. We offer Accommodation in a range of family holiday cottages, or group retreats.